Home / Extra-Curricular / Saaleno Mobarak! Happy New Year! Saaleno Mobarak! Happy New Year! So the new year falls on 20th March at 11:01:53 am (the precise moment of the Spring equinox). The year will be 1392. Apart from opening an hour or so late, the shop will be open as normal. Er, except for Mr. Shopkeeper’s New Toy. 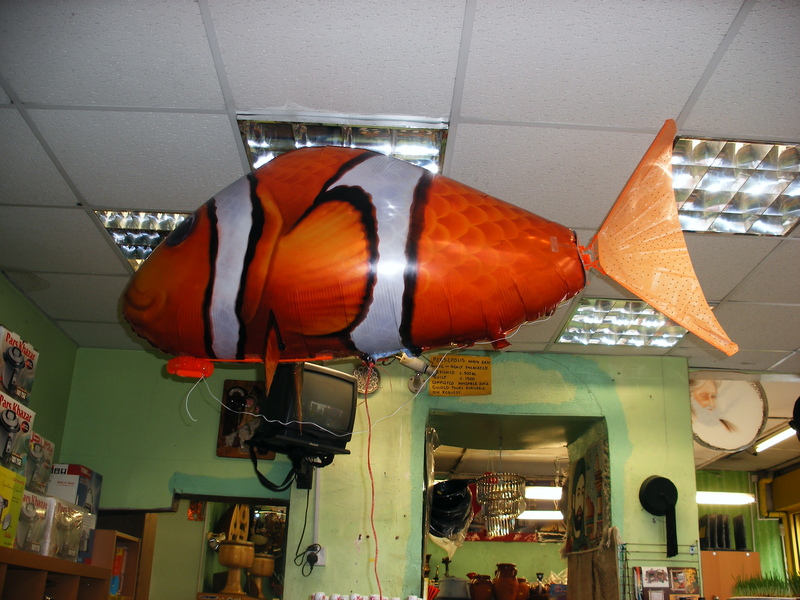 There is nothing normal about a yard long motorised helium-filled flying goldfish. Especially given the terrifyingly small berth between the top shelves and the ceiling. Oh well – it is Nowrooz after all, and boys will be boys. Anyway – it is truly the best time to visit Persepolis. 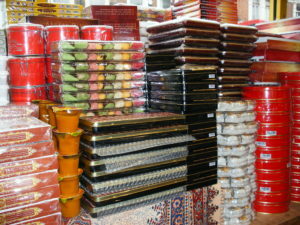 We are piled high with sweets and all the (ancient, Zoroastrian) trappings of the rites of Spring – wheat grass, painted eggs, Haji Firooz (well, models of) and all sorts. Furthermore, the ‘staff’ (that means Mr. & Mrs. S. for the most part) are all incorrigibly jolly and prone to dancing in the aisles. Whether you’re able to visit or not, we’d like to take this opportunity to wish you and yours a happy and prosperous Nowrooz…and we look forward to welcoming you to the shop (virtual or otherwise) very soon.